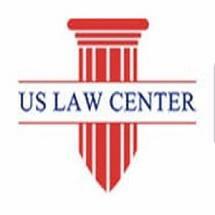 The U.S. Law Center is a nationwide, full-service immigration law firm that provides large corporations, small businesses and individuals with a full range of immigration processing and placement services. From Southern California offices in Orange County and Riverside County, our attorneys travel throughout the United States to meet with our clients. We attribute our attorneys' success to their thorough understanding of current and evolving immigration law. Many of our clients come to us as referrals, a tribute to the responsive and personal service that is a hallmark of our practice. Our U.S. immigration law practice is comprehensive, including employment-based, family-based and student visa processing; defense of deportation; and representation at hearings before the Board of Immigration Appeals (BIA) and the Ninth U.S. Circuit of Appeals. Whether our client's goal is to recruit foreign national employees, to visit the United States on a temporary basis, to get a green card, or to achieve U.S. citizenship, our attorneys focus on a strategy that will allow the client to accomplish that goal as quickly and efficiently as possible. If you would like to discuss your needs with one of our lawyers, please contact us to arrange a free consultation. Evening and weekend appointments are available at our Orange or Corona office; our fees are competitive and we accept credit cards. Our attorneys regularly travel throughout the nation to meet with corporate clients. Se habla espanol. Worst of the worst. Totally incompetent and lazy. They have no idea what to do, how to do or how to communicate. They only know how to take the money, thats about it. I know most of the positive reviewers for this firm on Google and Yelp and they are fake. And I also happen to personally know at least ten clients who are suffering with this firm for over a decade. Please take your money elsewhere and be happy.